How long do you plan to live/work in this space? What features would you find most useful? Least useful? Do you have children and how do their activities integrate with yours? When you go on vacation, what type of hotel do you prefer? Give examples. What is your favorite restaurant? How is it decorated? What is the style of the building or room? What area or aspect of your space is your least favorite? Why? Do you entertain often? How many people in the average group? Is your entertaining usually formal or informal? Does your entertainment often extend outdoors? Do you prefer a quiet, cozy atmosphere or an open, modern one? What is your favorite material? Which materials make you feel good and which ones make you uncomfortable? Is there one color that predominates your home or wardrobe? 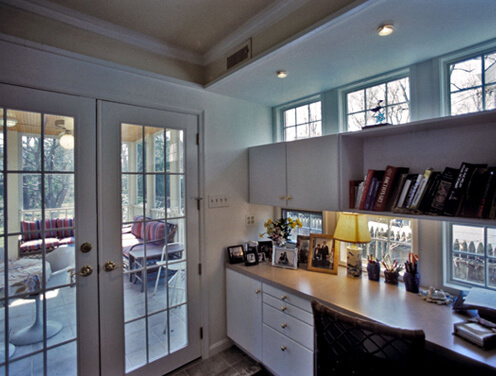 How does natural lighting affect your comfort in various spaces in your house? Interested in our architectural design services? Contact us today.